The Coffee Bean extract is being widely touted as the new and premiere ingredient for weight loss today. From popular medical talk shows and morning shows segments to blaring evening commercials the product is gaining popularity for attributes such as suppressing appetite, boosting metabolism and mobilizing body fat. Still the critics are not far off. Some health and nutrition professionals have been analyzing the tough questions about the components’ ability to produce substantial weight loss results. What exactly is this Coffee Bean Extract?….The Coffee Beans are the green seeds within a bright red berry. When roasted they turn brown and are ready for the delectable drink, Coffee aficionados enjoy. However roasting the beans eliminates chlorogenic acid which works to speed weight loss. Instead to produce the weight loss element, the beans not roasted but soaked then concentrated. Doctor Mehmet Oz carried out his own exploration which he announced on his daily television program. His analysis found that 100 women lost 2 pounds using the extract while another 100 only lost 1 on a placebo. In another 2012 study with 16 subjects, they lost an average of 16 pounds in 6 weeks ingesting the Green Coffee Extract. Although the results were successful, unfavorable commentary found that the test size (16 people) was too small to successfully gauge the supplement’s true capabilities. In an additional study, reported by the Examiner, participants lost an average of 17.5 pounds over 22 weeks. Unfortunately due to no standardization regarding supplements, there isn’t a particular formula when composing the product. Therefore one coffee bean extract can differ from the other significantly. One brand can contain more caffeine than the next. This calls for concern since heavily concentrated doses of caffeine can cause headaches, insomnia, gastrointestinal upset, nervousness, anxiety and even an irregular heartbeat. Furthermore, should one decide to stop using the product there is the possible risk of encountering withdrawal symptoms involving fatigue, muscle tension trouble concentrating, a flushed face and even depression. Although these concerns can be alarming they serve as precautions just like anything new on the market which affects one’s health. The evidence is apparent to determine that the Green Coffee Extract can be effective to assist with weight loss. However, just like anything else which relates to one’s well-being, start off with conducting copious research. Compare and contrast the different brands available. Learn the amount of caffeine contained, from one label to another. Identify what is a healthy amount prior to moving forward. 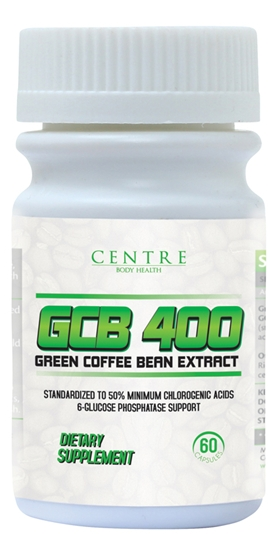 Dr. Oz himself does not endorse any one brand but recommends that individuals obtain Green Coffee Extract with at least 45% chlorogenic acid with a dosage of 400 mg. The Chlorogenic acid is most often listed on the product as GCA for green coffee antioxidant. Prescriptively the supplement should be taken 30 minutes before each meal and only consumed by adults 18 years and older. In summary, weigh all the information – the pluses and minuses to determine your Green Coffee Extract use.